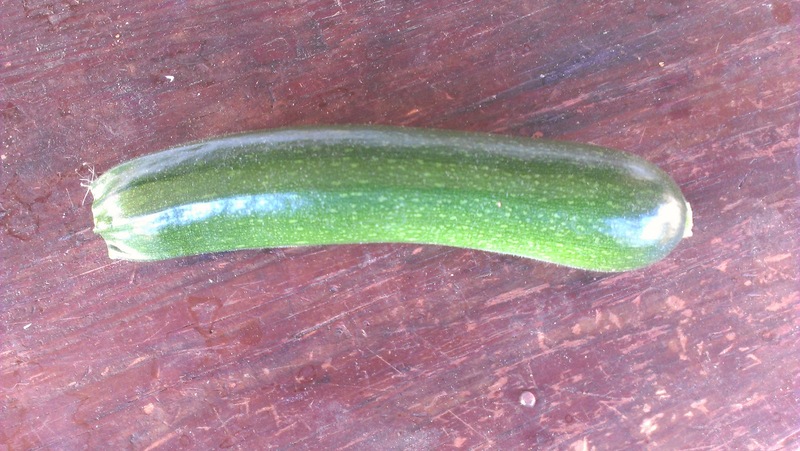 Glut: a year in my patch: Zucchini Tuesday - I want cake! As you know, Greenskin 1 has gone to to the great compost bin in the sky. Greenskin 2 has been doing very, very well and yesterday I picked my first zucchini from it. Yay! Now one zucchini isn't very many is it! So the other day I bought a few zucchini from the green grocers so that I could make something. I decided I wanted cake. 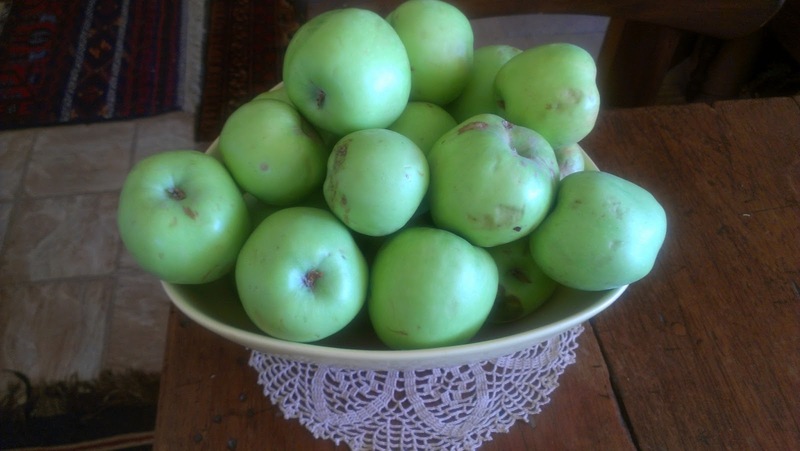 As I had a large number of pilfered apples on the sideboard it had to be a zucchini and apple cake, but was there such a thing? A quick google and I found many zucchini and apple cakes so I got grating. I amended the recipe quite a bit. It may be bad for my arteries but a cake isn't a cake if it doesn't have butter in it so one of the amendments was to substitute the suggested oil. I also reduced the amount of sugar and made it the soft brown type instead of the recommended white. I also applied a spice and sugar mix to the top of the cake instead of mixing the spices thru the cake mix. Anyhow here is my version of the cake. 1 tsp Pumpkin Pie spices (this was given to me as a yummy Christmas gift on instruction to use it when I use cinnamon). Do the usual mixing - you know how to make a cake! This is a big cake so prepare a big tin with the usual lining. I cooked it until I thought it was cooked based on the springyness, the skewer .... and well, it is a bit gluggy, especially down the bottom - I mustn't have put the skewer in far enough. I am not sure that it is a complete failure....it tastes pretty nice, perhaps I will serve slices hot and call it a pudding? What would I do next time? Well, I'd reduce the amount of apple and zucchini - I'd only put in 1 cup of each, that would make it less dense and help it to cook thru better. So if you are sick of zucchinis as a savoury vegetable, then try this with the amends I suggest. If you peel the zucchini then the kids wont know that it has zucchini in it. Happy zucchini growing and eating. Until next week, love your zucchini. 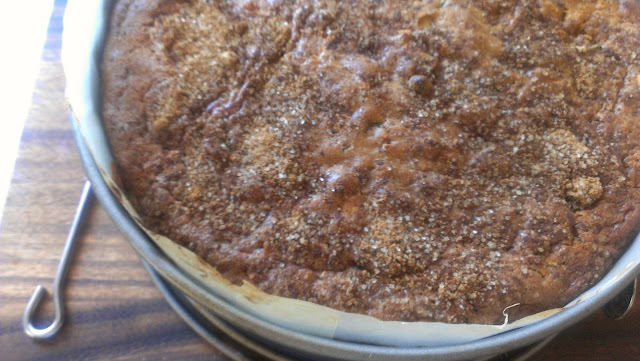 Mmm, zucchini cake. I've read such recipes and while I love carrot cake I've not yet made the plunge and made a zucchini one. Maybe one day. Its good, it works and tastes just fine. Funnily enough I made zucchini cake last week and was going to post on it later this week. Still will - can't be enough cake posts in my book. I disagree on the butter thing though the base recipe I used and adapted called for butter but I substituted oil. That's funny! Collective consciousness with variation on oil and butter! Wow, zucchini cake - will the ideas never stop?? I'm not sick of savoury zucchini yet and I'm not much of a baker but I might give this one a go. My potted zucchini has been producing just enough for my needs. The other (in the ground and hidden by beans and shaded by the neighbours trees) hasn't given me anything, yet. Probably never will. Never mind. I like it but think it is extra nice with the apple. Do reduce the quantities of grated fruit though, its a little too heavy otherwise.I hope you get some zukes.